Music News: Domo Music Group announces a special symphonic concert season for new age music star Kitaro in 2014 with the Santa Rosa Symphony Orchestra. 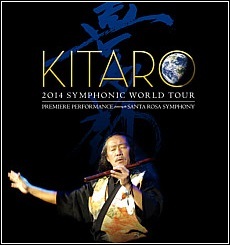 GRAMMY® Award and Golden Globe-Winning new age artist Kitaro, is preparing to initiate his 2014 concert season. This piece of music news is a good reason for Kitaro fans to celebrate but this year, as it turns out, was destined to be special one! 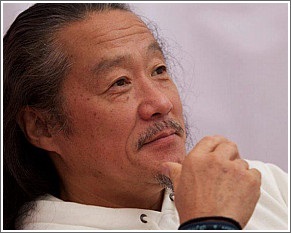 In addition to Kitaro’s multiple Nominations, including this year’s 56th GRAMMY® Awards in the Best New Age Album category, Kitaro will be performing with a full orchestra during this concert season. In a press release at Domo Music Group the song playlist will include songs from the albums Silk Road, Kojiki & Heaven and Earth. The new age superstar’s concert season billed as, “Kitaro Symphonic World Tour in 2014,” is comprised of historic cities in Eastern Europe. The first live symphony production for this special tour begins in Santa Rosa, California on February 14, 2014, and transverses through Eastern Europe cities of Warsaw, Poland, St Petersburg, Russia, Moscow, Russia, Kiev, Ukraine, Bucharest, Hungary, and Istanbul, Turkey. The premiere performance with the Santa Rosa Symphony orchestra begins on February 14th in Weill Hall at the Green Music Center on the campus of Sonoma State University in Rohnert Park, California. The Santa Rosa Symphony Orchestra conductor is Stephen Small. Kitaro is an important artist who has performed with an impressive list of equally important celebrity artists, and this upcoming concert series with the Santa Rosa Symphony is sure to be a once in a lifetime event. I hope to see you there! For information and concert updates visit the Domo Music Group Kitaro page, and you may purchase tickets at SantaRosaSymphony.com. Please note, for news complete updates, including the most accurate concert information visit DomoMusicGroup.com. To read my recent interview with Kitaro, album reviews and additional articles, take a minute to visit my Kitaro section. Watch the Kitaro Concert Video below. 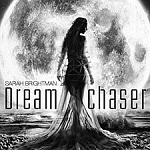 Photos courtesy domomusicgroup.com. There are a limited number of engagements scheduled at present, but fans expect to see more concert dates added as the year progress. The world famous team of artist’s first live concert performance in 2015 was opening the Vadfest Cultural Event Festival in Vadodara, India on January 25, 2015. Regardless of a concert venue’s historical significance, Yanni and orchestra perpetually stun audiences with their vocal and instrumental solos and performances as a world-class orchestra. To give you examples of the fortitude this musical act possesses, Yanni and the orchestra are leading international concert artists with around one billion admirers worldwide. To this day the concert Yanni Live at the Acropolis remains the top fundraising program for PBS. This single live concert event alone was seen and heard by an astounding 500 million television viewers from 65 countries. The Taj Mahal in India and The Forbidden City in China concert are more examples where PBS television viewership reached a television audience of 250 million people. Celebrating thirty years as a professional entertainer, excitement to see the Yanni and each concert performer is in high demand, consistently attaining sold out shows each season. If you would like to read more about Yanni and his elite team of musicians; New Age Music World blog host John P. Olsen recently published an exclusive interview with Yanni. This recent interview with the music celebrity gives considerable insight into Yanni’s life, the orchestra members, and his plans for the future. Find current music news and 2015 – 2016 Concert Tour information at Yanni.com and read my Yanni Interview. Please note the tour dates shown below are subject to change. For complete updates and the most accurate concert info check the Yanni 2015 Concert Tour schedule at Yanni.com. Photos and concert schedule courtesy yanni-wake entertainment. 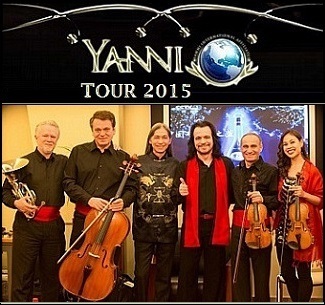 Yanni and his Orchestra – World Concert Tour Dates for 2014.
International concert and recording artist Yanni and his orchestra have released new tour date information for the 2014 concert season. 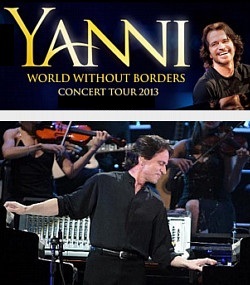 Following a successful “World Without Borders” Tour in 2013, and recent Brazil Concert Tour, Yanni and his elite orchestra again take the stage to bring professional live entertainment to many parts of the world. This year the Yanni 2014 World Concert Tour converges around the globe, touching down in the countries of Chile, Argentina, Brazil, United Kingdom, Germany, Czech Republic, and United States. More concert venues and dates will be added as the year progresses, so hopefully you will have a chance to see the professional team of entertainers perform. The quality of musicians and vocalists he selects for his tours each concert season are unsurpassed and legendary, recognized as some of the world’s finest artists. If you have ever read one of many Yanni concert reviews, you know the atmosphere and song playlist for a Yanni concert is unique each season, but classic songs favorites can be expected this year too. There will be additional melodies performed during the 2014 concert season, including songs from two of his most recent albums. Songs from the album Yanni-Live at El Morro, Puerto Rico from 2012, and an original studio album composition from 2011 titled Truth Of Touch will be performed this year too. The Yanni Concert Tour for 2014 is designed to showcase the international artists and talented professionals that perform with the celebrity and complete the ultimate concert experience. If you would like to read more about the leading musicians and vocalists who perform live in concert with Yanni, there is a page at Yanni.com where you can read the biography for each artist. The orchestra member’s name credits are: Charles Adams: drums, Benedikt Brydern: violin, Jason Carder: trumpet and flugelhorn, Yoel Del Sol: percussion, Victor Espinola: harp, Ming Freeman: keyboards, James Mattos: French horn, Sarah O’Brien: cello, Mary Simpson: violin, Dana Teboe: trombone, Gabriel Vivas: bass, Samvel Yervinyan: violin, Alexander Zhiroff: cello. The vocalists are; Lauren Jelencovich, and Lisa Lavie. In every sense concertgoers can expect to see something new this concert season, yet unchanged for 2014 is the fact Yanni and his elite orchestra remain one of the most popular international new age music artists in the world! See you there! For news and information visit Yanni.com. Shown below is the current Yanni concert schedule. Please note the dates shown are subject to change. For complete updates and the most accurate concert info check the Yanni Concert Tour 2014 page. For more information read my concert reviews, album reviews, and webcast Yanni interview in my pages dedicated to Yanni. Photos and concert schedule courtesy Yanni – Wake Entertainment. For news, information and complete tour schedule updates visit Yanni.com. Alphaville Concert Tour 2014: New Concert Informaton. The Germany based synthpop group Alphaville has updated their show schedule on their 2014 concert news page. The show locations given so far this year are designed for a European audience since concert venues currently scheduled are locations in Germany and Poland. Alphaville is a sensational electronic pop music group with a huge international fan base and millions of albums sold the past 30 years. The song playlist from their show performances is not given but I would imagine songs from their newest album Catching Rays on Giant, and a number of additional song favorites like Forever Young, Big In Japan & Sounds Like A Melody are included in the song set list. Alphaville’s Catchin Rays on Giant album is an outstanding studio release from 2010. I believe the majority of fans would agree Catchin Rays on Giant are some of the best Alphaville songs founding vocalist Marian Gold and band members have produced to date! There is also news about a new Alphaville album in 2014. The working title for Alphaville’s new album for 2014 is Strange Attractor. There is more press news for Strange Attractor when available, but this is fantastic news and an exciting time for millions of fans worldwide. Alphaville is an amazing success story beginning with first album Forever Young from 1984. With previous live concerts in Brazil, France, Germany, Hungary, Russia, Singapore, Sweden, and the United States, Alphaville fans in Europe are going to have an eventful year in 2014! Current band members are Marian Gold, Martin Lister, David Goodes and Jakob Kiersch. Visit the Germany based Alphaville.de for news, merchandise and 2014 Concert information. Below is an Alphaville song video titled Sounds Like A Melody, recorded live at the Tresor Club in Berlin, Germany. 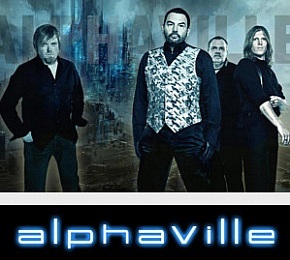 Check for official concert information and tour updates at Alphaville.de. Photo is courtesy alphaville.de. Jon Anderson – South America Tour Dates 2012. Legendary solo artist, and original YES singer and songwriter Jon Anderson, has a summer concert schedule update for 2012. This is great news for fans of the popular music celebrity who has been a highly regarded source of music entertainment for millions of people over his decade’s long career. Recognized as one of the most identifiable voices in progressive rock music, Jon Anderson is renowned worldwide for his work with YES, Vangelis and Kitaro, in addition to his original solo recordings. After completing several successful tours of the U.S. and South America, Jon Anderson’s Summer Tour in 2012 is in support of his internationally successful CD album, Survival & Other Stories, and newest digital download entitled OPEN. People attending a Jon Anderson concert can expect to hear the best material from Jon Anderson’s prolific solo career including Survival & Other Stories, OPEN, collaborations with Vangelis (Jon & Vangelis), and classic YES songs. Concertgoers can expect to hear favorite songs and some new compositions too, during a fun evening of entertainment that includes humorous and inspirational moments, and personal life stories from the legendary artist. During Jon Anderson’s career as a music professional, Jon has covered popular music like progressive rock, but he shows his versatility as an artist by producing new age, pop, adult contemporary, and Christian music releases too. For many people, the year 2012 is going to be a great opportunity to hear a true music legend in a more intimate concert venue! On August 8, 2012 Jon Anderson performed in the UK for the first time in many years at the Sadler’s Wells Theater in London. 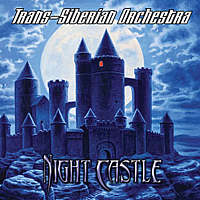 People attending this special concert event heard Jon and the Slovakian Chamber Orchestra perform favorite song classics from YES, Jon & Vangelis, plus new songs in a concert for “Earth and Peace” at the 2012 Summer Olympic Games in London England. 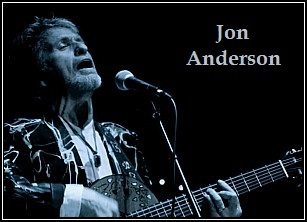 Visit JonAnderson.com for news and 2012 tour schedule. Read our interview together and my pages for Jon Anderson. Below is Jon Anderson’s current 2012 tour schedule. Concert tour schedules change so visit JonAnderson.com for news and concert tour updates. Concert tour info courtesy jonanderson.com & photo by Tami Freed. For concert schedule updates visit JonAnderson.com. 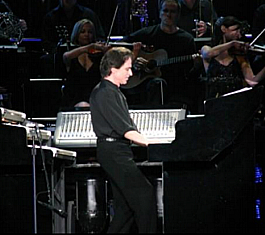 Yanni and the Public Broadcasting Service (PBS) have an enduring connection starting with the early years in his career as an international concert musician. The American PBS stations aired Yanni’s live concert events in historic locations like Live at the Acropolis in Athens, Greece, Tribute concert in India, and Live at Royal Albert Hall in London England. 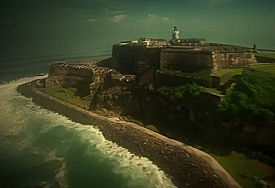 This new Yanni concert is a PBS program of Yanni and his orchestra performing at the 16th-century Castillo San Felipe del Morro in San Juan, Puerto Rico. Like past PBS concerts, a DVD and CD of this historic concert event is now available at Yanni.com. PBS stations nationwide will begin airing the Yanni concert performance beginning March 3, 2012, with the opportunity for you to see the recorded live PBS concert. You can check your local PBS station schedule for your area programing date and time. The PBS televised concert is around one and a half hours long, and features several new songs, along with favorite songs by Yanni. The songs performed during the event are; Santorini, Felitsa, Voyage, The End of August, The Rain Must Fall, Nightingale, Acroyali, Marching Season, Standing in Motion, Nostalgia, The Storm, One Man’s Dream. Visit Yanni.com for information and PBS concert program listings in your area. Photo is courtesy Yanni.com. Touring concert pianist Jim Brickman has released “The Romanza Tour” concert tour schedule for the beginning of the 2012 concert season. 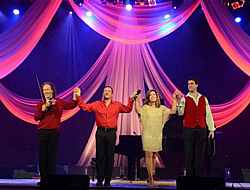 Knowing Jim Brickman and his team of professional concert artists are in high demand around the country, more venues are likely to be added to his current 2012 tour schedule at JimBrickman.com. With Valentine’s Day approaching, and Jim Brickman’s prized distinction for producing some of the top romantic piano albums, “The Romanza Tour” is just a part of Jim’s year around celebration. 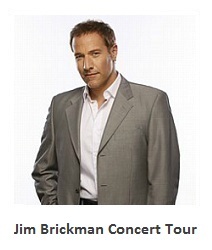 The JimBrickman.com online store is sure to be a popular place to visit for Valentine’s Day gifts. Where else could music for Valentine’s Day gift giving be any easier! I interviewed concert performer Jim Brickman a couple of months ago, weeks prior to the start of Jim Brickman’s 2012 concert season. Presently, my New Age Music World publication is Jim Brickman’s most current interview. If you missed seeing this comprehensive article at his website and Facebook page, you can read Jim Brickman’s newest interview in which he talks about the vocalists and instrumentalists who make up the entire concert team for 2012, and much more. It’s the newest Jim Brickman interview publication every fan will enjoy reading. Jim Brickman tells about his newest piano albums Romanza & All Is Calm, which are currently in the Billboard’s Top 10 New Age Charts. Below is the Jim Brickman “Romanza Concert Tour” schedule for 2012. Please note the dates shown below are subject to change. For updates and concert info visit the JimBrickman.com Tour Page. 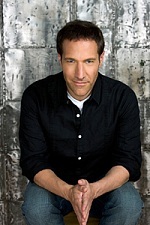 Read Jim Brickman’s most current interview. Photos and concert information courtesy JimBrickman.com. 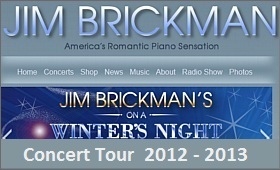 Visit the JimBrickman.com Tour Page for updates. 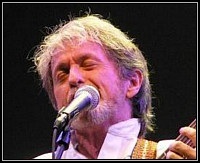 Legendary artist Jon Anderson of Yes fame has released his new concert tour schedule for 2012. The North American concert tour is comprised of U.S. concert venues at present, and more concert dates are sure to be added later in 2012. The North American tour, in support of his CD album – Survival and Other Stories, is sure to be an amazing event for everyone in attendance. 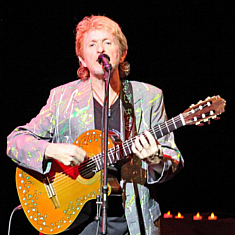 Jon Anderson’s 2012 North American concert tour, publicized as “An Acoustic Evening With Jon Anderson,” is an intimate evening with a celebrity artist who has entertained millions of people over his decades long career. During Jon Anderson’s career as a music professional, Jon has covered popular music like progressive rock, but often shows his diversity as an artist by producing new age, adult contemporary, and Christian music releases. 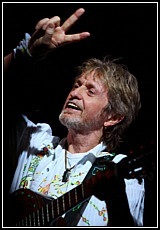 Jon Anderson’s 2012 concert tour will feature some songs from his newest CD release – Survival and Other Stories. Jon’s vocal instrumental album can be described as his personal message of inspiration, with themes regarding love, life, understanding, healing and survival. Concertgoers in 2012 can anticipate a fun evening of entertainment with select songs from Jon Anderson’s prolific solo career, along with favorite songs by Jon & Vangelis, and classic YES songs. For many people, 2012 is going to be a great opportunity to hear a true music legend in a more intimate concert venue! Visit jonanderson.com for music news and full tour schedule. Read our interview in 2011 on my pages for Jon Anderson. Below is Jon Anderson’s 2012 current tour schedule. Concert tour schedules frequently change so for updates please visit Jon Anderson’s site for the most accurate tour information. Photo and tour info is courtesy jonanderson.com. Visit jonanderson.com for concert tour updates. With many popular new age concerts scheduled, and popular artists who regularly perform concert tours, the chance for you to hear live new age music in 2012 is available to just about anyone who would like to attend. 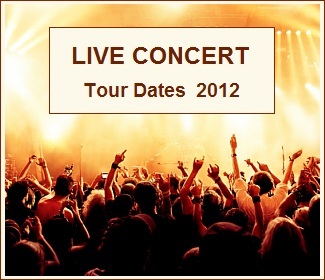 Many popular artists have 2012 concert tour date schedules listed at their websites. Given the various live concerts currently scheduled in 2012, and future concert dates that will be scheduled in the days and months ahead, New Age Music World is happy to keep you informed about these live shows as they become available. 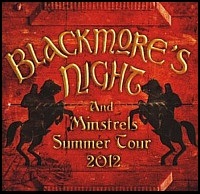 A Concert Tour Information – Live Music banner is in a right hand module. 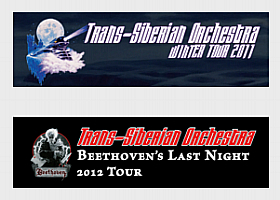 When you click on the 2012 concert tour banner, you can find your favorite artist’s concert schedule, or follow my direct links to their complete concert tour schedule. You can also find even more by reading about their newest release or interview. 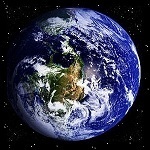 While I can’t keep up with every artist’s concert tour schedule, I now have a convenient place where you can check for live new age music by popular artists with concert venues in your area. 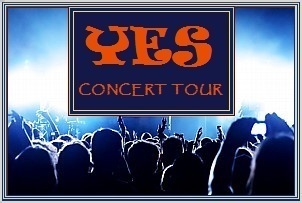 Popular artists with live concert tours include; Jon Anderson, Rick Wakeman, Jim Brickman, Blackmore’s Night, Mannheim Steamroller, Tangerine Dream, Trans-Siberian Orchestra, Yanni and Yes. Many are touring, or have updated concert information listed at their websites. Some of these popular artists may even have a live concert tour dates already scheduled within short driving distance of your city, state, or country. Live concerts given by popular artists who are seasoned entertainers have thrilled audiences for years, so everyone in attendance can expect a fun evening of entertainment provided by experienced music professionals. If you want to stay updated on the latest live concert information for a variety of popular artists, bookmark this site. I will do what I can to add more artist’s concert tour dates, and keep you informed on the most recent concert news and tour information. Concert tour dates frequently change, so for updates please visit the artist’s website for complete concert tour dates and information. 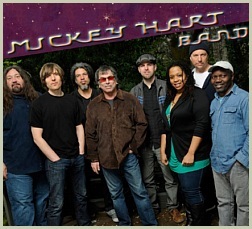 Read my Live Concert Tour Information section or Live Concert banner in a right hand module. 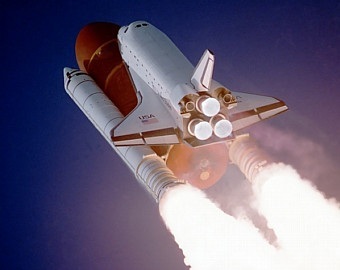 Big Stock Photo – dws. International concert artist Yanni is now preparing for his 2012 North American Concert Tour, publicized as “An Evening With Yanni.” The North American concert tour that begins in Florida on April 17, 2012, has a long list of live concert venues scheduled in the countries of the United States and Canada, with more concert dates to be scheduled soon in 2012. The North American Concert Tour in 2012 has a song playlist said to be comprised of classic concert favorites, along with songs from his original studio release Truth Of Touch. In succession to his sold out world concert tour last year, this year is destined to be another successful concert season for Yanni and his world-class orchestra of professional musicians. If you have ever read a Yanni concert review by those who have attended a concert, it’s easy to comprehend their enthusiasm. For the millions of people who have watched him perform live, Yanni is a natural attraction, but the lineup of top artists he selects for his concerts is equally legendary. 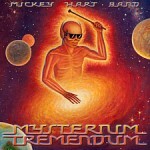 Every venue in 2012 is expected to be an extraordinary evening of entertainment from the composing mulit-instrumentalist, and his orchestra. The North American Concert Tour will showcase the international artists and talented music professionals that complete the Yanni concert experience. If you would like to read more about the professional musicians who perform live in concert with Yanni, there is a page at Yanni.com where you can read the biography for the outstanding artists who provide vocals and instrumentals. With 35 Gold and Platinum records to date, Yanni remains one of the most popular and exciting international concert artists in the world! 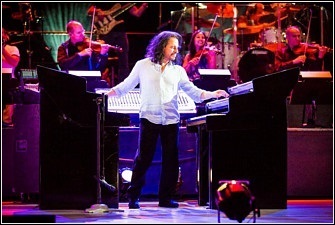 Visit the Yanni.com homepage, and find out more about the orchestra artists. Below is the current concert schedule, but please note the dates shown below are subject to change. 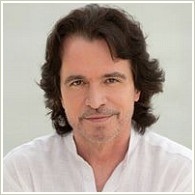 For updates and most accurate concert info check the 2012 Concert Tour Schedule at yanni.com. Mexico Dates; March 20,2012 – Arena Ciudad De Mexico, Mexico City & March 22, 2012 – Arena Monterrey, Monterrey. Photo and concert schedule courtesy Yanni – Wake Entertainment. Visit Yanni.com for complete tour schedule updates. Legendary YES vocalist Jon Anderson’s digital download OPEN is available October 25, 2011 at iTunes. Returning to his Yes origins the song OPEN is an epic 21 minute opus in the framework of classic melodies like Close To The Edge, Gates of Delirium, Revealing, & Awaken. Jon Anderson’s digital download OPEN features the eclectic vocals and intricate melodies that made him the most iconic name in progressive rock history. Jon Anderson is united in song with orchestrations by Stefan Podell. 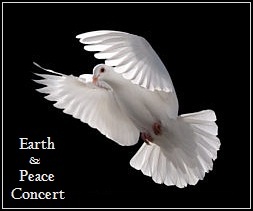 Together this song given in four movements, delivers a wonderful message of peace, love, light and freedom. The beautifully conveyed piece is an inspiring and festive experience for the listener. 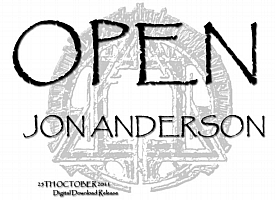 OPEN by Jon Anderson is a powerful proclamation! Jon and Rick Wakeman, both former lead band members of the Progressive Rock group Yes are currently on tour in the United States and Canada. This is exciting news music legends Jon and Rick are performing together once again. It has 4 movements all intertwined, and seems to have a life of its own. For those who love this kind of music, I feel so happy to present it as one of many I hope to create over the coming years. My love ‘Janee’ has helped in production with her unique musical observations and her angel voice. I am so happy and thankful. Many blessings. Jon Anderson – October 2011. Visit jonanderson.com homepage and then check out his Concert Tour page with former Yes member Rick Wakeman. Sample or purchase Jon Anderson’s new download at iTunes. Read my interview with Jon Anderson in 2011, and my pages for Rick Wakeman & Jon Anderson. Artwork is courtesy jonanderson.com.